I used the same theme. Oh, and I have just realised that there is a couple I missed taking pics of... oh well. 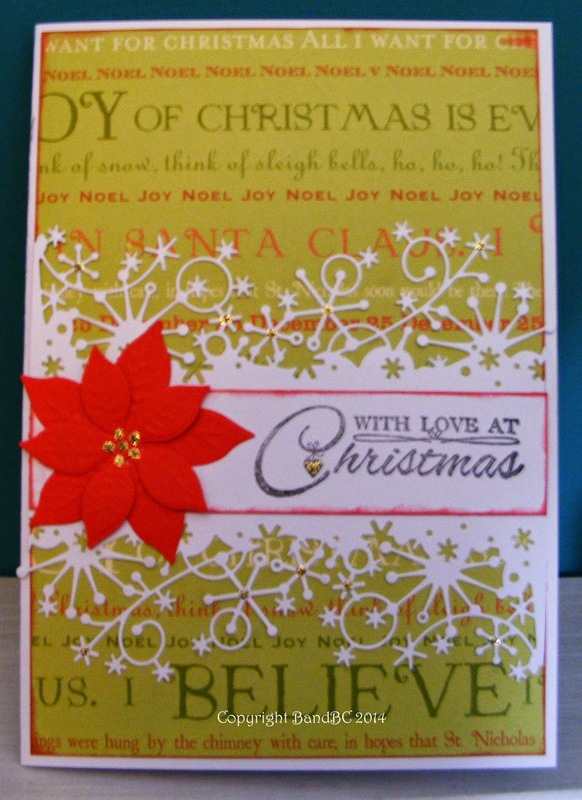 They are similar to these, but using other backing papers. A great batch of Christmas cards. 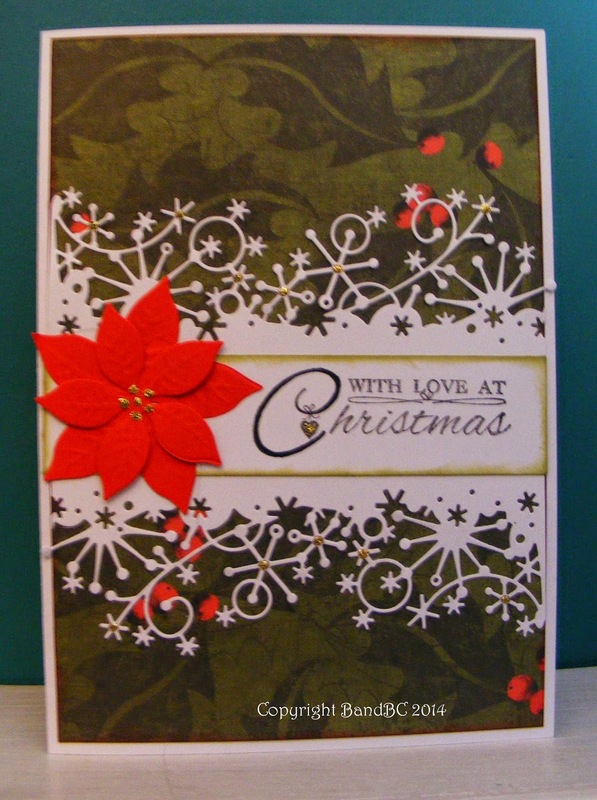 The border die is gorgeous and your Poinsettia's are beautiful. 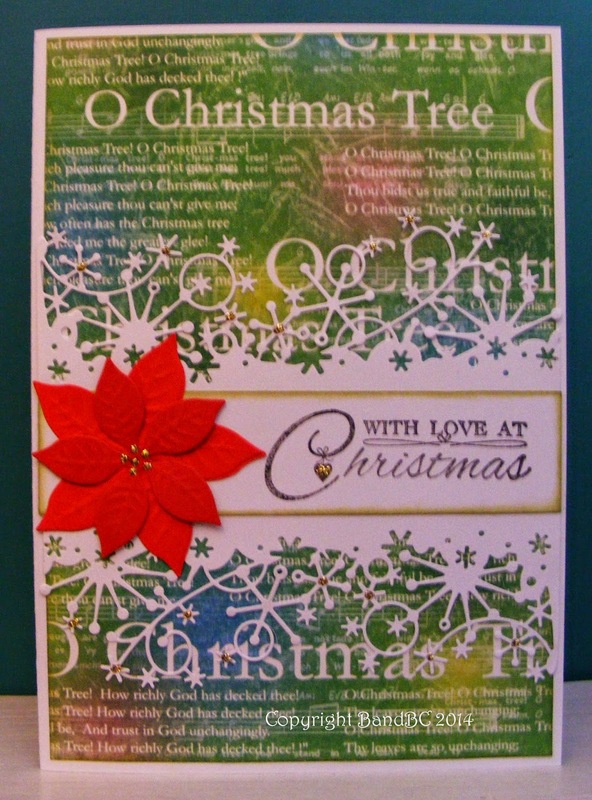 Thanks for joining us at Crafty Cardmakers and More. Sally D.x. Lovely cards...thanks for playing with us at Melonheadz Friends!